Focusing on its agriculture industry and wholesale business, Southern States Cooperative Inc. will close or consolidate about two dozen of its 1,244 retail stores in 17 states by the end of this month. Only one of the company’s nearly 100 Virginia locations will be affected. A Southern States operation in Tappahannock will continue its industrial and wholesale services for farmers but will close its retail showroom. 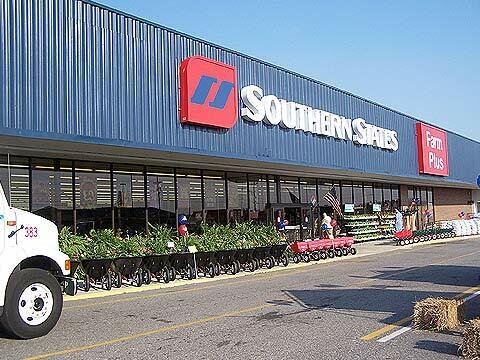 The change will mean that three of the store’s 15 employees will be laid off, said Steve Patterson, Southern States vice president of marketing and communications. Companywide, the closings will result in about 120 layoffs, he said. Southern States, based in western Henrico County, had the equivalent of 594 full-time employees as of Jan. 1. In the Richmond area, the company has stores at 8718 W. Broad St. in western Henrico, 1200 Alverser Drive in Chesterfield County, 3119 Williamsburg Road in eastern Henrico and 1961 Sandy Hook Road in Goochland County. The company supplies the independently owned Ashland Feed store and has a fuel service center at 11023 Washington Highway in Hanover County. Patterson said the company plans to add retail stores “in better locations.” He said the new stores will serve rural customers in high-growth markets, rather than urban and suburban locations. A year ago, the company laid off about 150 workers companywide. Those job cuts included seasonal and part-time workers as well as employees in the corporate offices and stores. Southern States has about 200,000 members and offers a range of products and services to help farmers. One of the nation’s largest agriculture cooperatives, the company sells fertilizer, seed, feed, livestock and pet feed and other items for the farm and home. The company also offers farm equipment and crop-management services. ← From the Field: How I Spent My Summer "Farmcation"